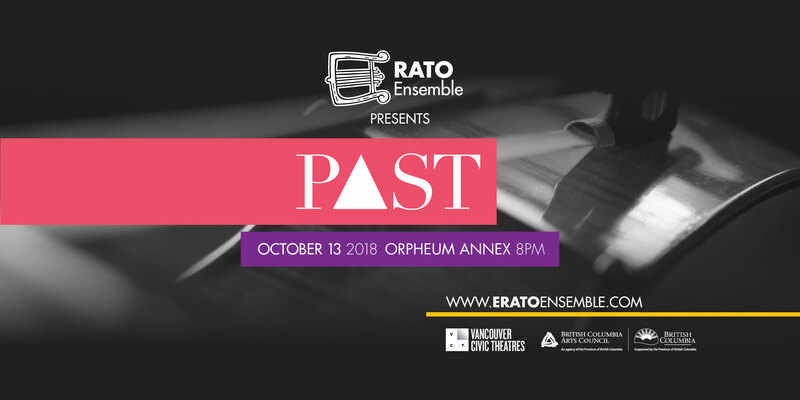 Join us for Erato’s retrospective 2018-19 season, “Past, Present, and Future”. Each concert explores our relationship to points in time via music, new and old, where voice and instrument combine. “Present” shines a light on the vocal/instrumental chamber music being written today. The concert features Jocelyn Morlock and Bill Richardson’s song cycle, Perruqueries. 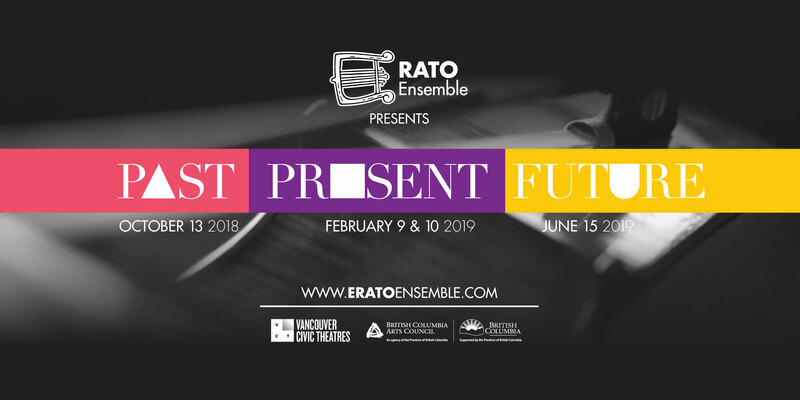 In collaboration with Vancouver’s Art Song Lab, we will present arrangements of several pieces written for the program, including Remy Siu’s Terminal Love (previously arranged for Erato Ensemble), Katya Pine’s Wood Sleeves, and Bekah Simms’s Requiem for a Penny, as well as pieces by Katerina Gimon, Jonathan Daniel, and Christopher Reiche Boucher from Art Song Lab 2018. Tickets for February 9th, 8pm at The Annex available through Eventbrite, or at the door. Tickets for February 10th, 3pm at Holy Trinity Anglican Church available through Eventbrite, or at the door. “Future” examines what kind of music has us looking forward. 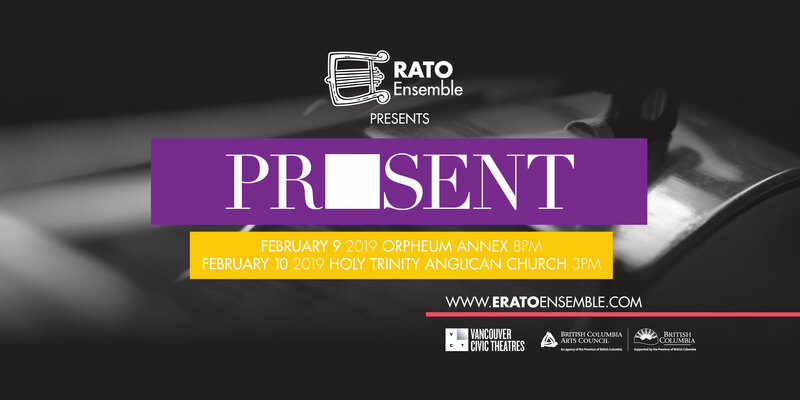 The first half of the concert will present a selection of the historical repertoire that were considered ahead of their time, including selections from the Second Viennese School, and visionary Canadian composer, Harry Somers. The second half will feature works by today’s leading voices in vocal/instrumental chamber music, including Caroline Shaw and Kaija Saariaho. Known for his innovative, interactive marriage of text and music, the concert will also feature the world premiere of a choose-your-own-adventure, interactive art song for 4 singers, flute(s), clarinet(s), violin, and cello by Michael Park. 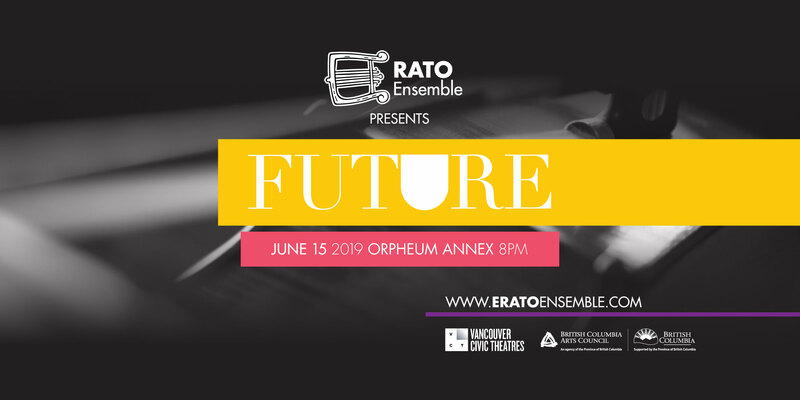 Tickets for June 15, 8pm available from Eventbrite, or at the door.